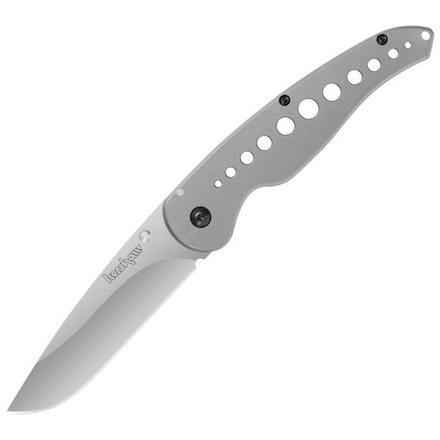 3 1/2" 8Cr13MoV stainless blade with bead blast finish and dual thumb studs. Stainless handles with drilled hole design and bead blast finish. * Lanyard hole.